There is a new position in town. But it has a back story. I live in a little community called Toluca Lake. It is adjacent to Burbank and is surrounded by the entertainment industry. Many artists live here as have others before them. Bob Hope’s home (now for sale) is a block and a half down the street. Frank Sinatra, W.C. Fields and Bing Crosby had homes here. So did Emilia Earhart. Ronald and Nancy Reagan had their wedding reception here at friend William Holden’s place. A number of today’s entertainers followed suit. Miley Cyrus is a few blocks away. Denzel moved but Jack Black, Andy Garcia, Hillary Duff, Zac Efron and lots of others hang here. It’s no surprise because you can throw a rock and hit Warner Brothers studios. Universal is up on the hill, Disney is just down the street. NBC is here as well, though, sadly, The Tonight Show has moved to New York. 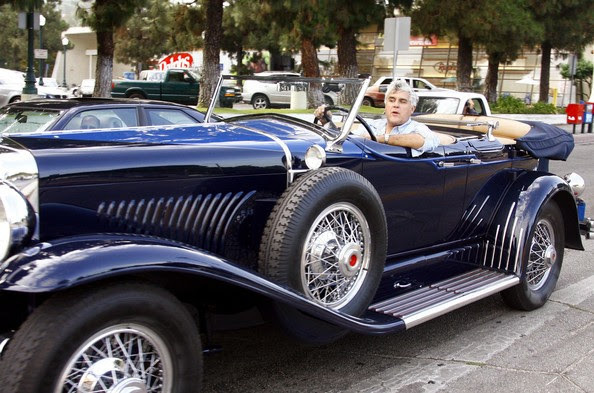 But, Leno still drives his exotic cars along the back streets of town. The main drag running through Toluca Lake is Riverside Drive. At the East end of this little community of creativity is what is probably the most famous single burger joint in the country – Bob’s Big Boy. 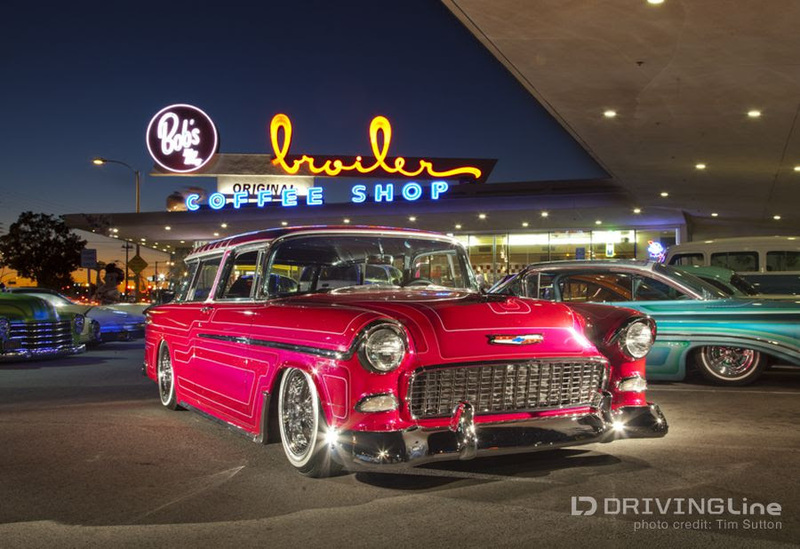 Built in 1949, and named after the first double-patty burger, Bob’s still has car-hops on weekends and every Friday afternoon and evening their parking lot is filed with classic cars – everything from ’55 Chevys to 32 deuce coupes. The place looks like the parking lot of my old high school. The Beatles had burgers there in ’65. Really. Starbucks is right next to Bob’s – so close that when I’m in there enjoying some soft scrambled eggs topped with parmesan cheese at 3 am writing one of these articles, I can pick up the wi-fi signal from next door. I drove by it a few times after it opened. There is a Robeks two blocks down Riverside, and my first thought was how does a new stand-alone juice boutique compete with a national brand like Robeks. I was curious and finally went in. Once inside, the difference was obvious: everything is raw and organic. There is a long juice bar, where you can sit. They have a very focused offering: organic fruit and vegetable juices, smoothies, salads…and desserts. For one thing, Robeks fruits and veggies are not organic, a big deal for those of the health conscious crowd – about 90% of the inhabitants of La La land. But that is not the point of the article. The point is the clever positioning RAWkin Juice uses for the brand. Remember, positioning ties your product or service to something already in the mind. 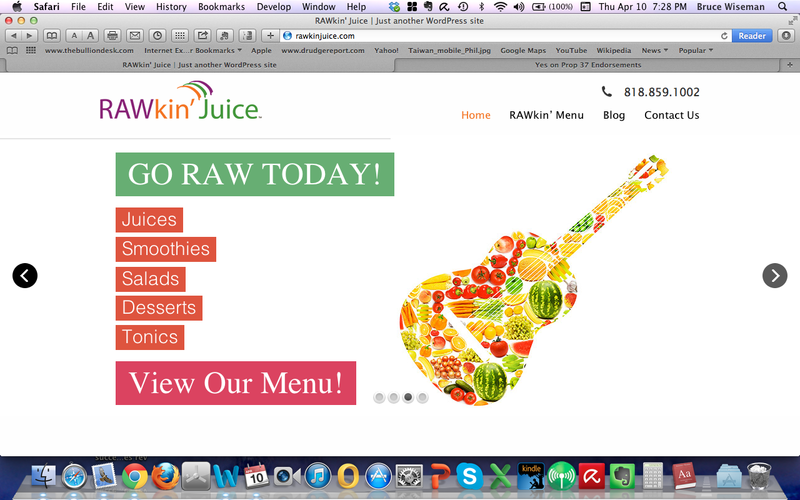 RAWkin Juice ties their products to music – the “Good Vibrations” one gets from organic juices and smoothies are tied to the good vibrations of music. They have a positioning image of a guitar (made of fruits and vegetables). And look how cleverly their copy forwards their position. Live, organic, farm-fresh raw vegetables and fruits have natural vibrational frequencies. They can be destroyed by heat, speed or hard processes. RAWkin’ Juice protects and preserves the source of plant energy transferring its fresh vibrations to you. like music for your body, mind and spirit?. When you listen to music, vibrations enter your ear and go into your brain. The frequency of music affects how you feel. Fresh, raw plants also produce vibrations that resonate with your internal system. We make “music” for your mouth. And of course Rawkin is a very clever play on “Rockin’”. I talked to one of the partners when I went in. He said they had been inundated with business from the studios. No surprise. Filming – TV or movies – requires long, demanding hours. These drinks have a seriously healthy kick to them. I had a “Hemp Notes” – hemp seeds, mango, banana, kale, parsley, dates, spirulina, chorella, spring water – and wasn’t hungry for the rest of the day. The owners are intending to open 10 of these around LA. Properly managed, they should be a stunning success; they have a first class product and a great brand riding on a clever position. How about you? Does your brand have a position? If not, we can help you create one. Positioning creates “want” for your product and drives sales.